Walking off post menopausal weight - what to do? Walking off ERT weight gain – I had a hysterectomy a year ago, began estrogen replacement therapy and have gained a lot of weight. What is the best way to lose weight while on ERT? I am so discouraged and tired of being fat! Please just give me a few ideas of loosing all this post menopausal weight! While it is true that ERT causes weight gain in many women, your basic approach to weight loss should be the same whether you take estrogen or not. After talking with your doctor about your concerns, evaluate your food choices and commit to a regular exercise program. Losing weight and keeping it off is all about consistency. Now that your body chemistry has changed somewhat, you may not lose as many pounds as you’d like, but you’ll feel a whole lot better if you exercise every day and eat lots of fresh fruits, vegetables and whole grains. Walking is a great fitness activity for everyone seeking to lose weight and improve their general health. More people are able to stick to walking programs than just about any other fitness activity. Use a lot of water to remove the toxins of the body and start first thing in the morning! Try not eating after 6 a clock, wake up early in the morning and don’t loose your nights. 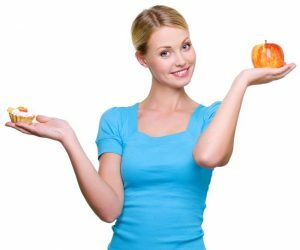 Try to have a balance diet, with lots of fresh juices that you prepare at home, remove the meat, bread, pasta, sugar, coffee, fast food. If you will try at least a week only with fresh juices, salads, different kinds of raw seeds you will be amazed of the results, even without any exercise! Try and I am sure you will want to continue for further results. Don’t forget to drink water – small sips, many times a day, to remove the waste you don’t need anymore!